Desertion is one spouse’s willful abandonment of the marriage for at least 1 year without consent, just cause, excuse, or intention to return. More commonly called abandonment, being left or just plain dumped, desertion is more than just a fight he or she leaving for the weekend. It has to be for 1 year. That is 365 days! Also, the party that did not leave, cannot be materially at fault for the other person leaving. This means you cannot kick him out, then sue for divorce, with no other intervening events. Desertion can also occur even with no one leaving the house. The “deserted” spouse must demonstrate that he/she did not consent to the “leaving of the relationship” and that a willingness to renew the relationship was refused by the deserting partner. However, if the deserting spouse makes a good faith offer to return and the other spouse then refuses, the refusing party could become the deserter. Finally, there is a concept known as “constructive desertion.” This occurs when the conduct of one spouse is so bad that it forces the other party to leave. The above requirements still apply as far as the timing and that it could be prevented by a good faith offer of reconciliation. Desertion is a viable fault ground for divorce, but it must be proven to the satisfaction of the Court and can devolve into a “he said, she said.” Also, just because one spouse leaves it does not mean the other spouse gets all the property. If the Court awards a divorce then a property split will also be done. 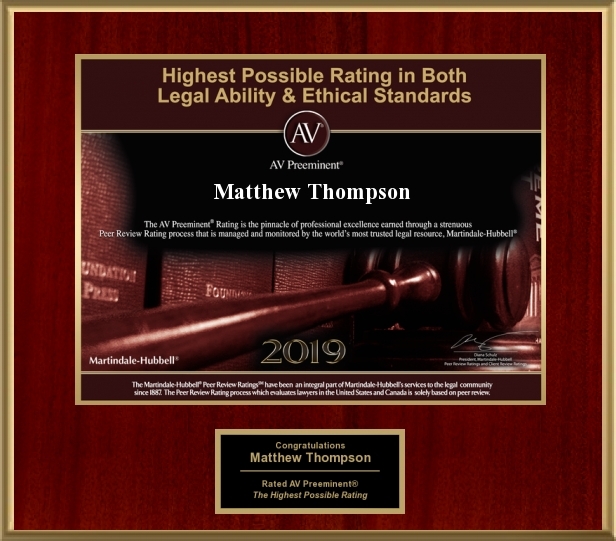 Matthew Thompson is a Divorce Attorney in Hinds County, Mississippi and if you’ve been left high and dry it may be time to get down and dirty.